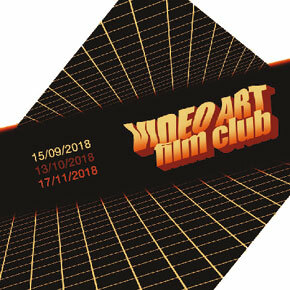 The Video Art Film Club is a unique mini-film festival hosted by prestigious East London venue Leyden Gallery, aimed at shining a spotlight on the finest experimental film and moving image work from a host of international and home grown artists and filmmakers. This unique experience has something for everyone with music videos, short docs, moving image, animation and more! Grab some popcorn, a drink form the bar and take a journey through our 3 screens, mingle with other artists and filmmakers or just sit back and enjoy a night of engaging culture. Tickets are limited so book in advance! Inspired by the rebellious, DIY, underground “Bad Video” film screenings, that have been on rise both in the UK and across Europe. Usually taking place in unconventional theatres such as warehouses, outdoor screens, bars and even living rooms. Leyden Gallery has been determined to create a natural, open and original event for viewing the innovative, experimental and engaging work. Each event will consist of 3 screens spread across 2 floors, with a carefully curated programme of short film and moving image work, selected from over 350 submissions from the UK and abroad. Each screens programme will be repeated at least once throughout the duration of the event so despite the ability to freely move around and watch whatever grabs your eye, you still have the chance to catch everything on show at your own pace.